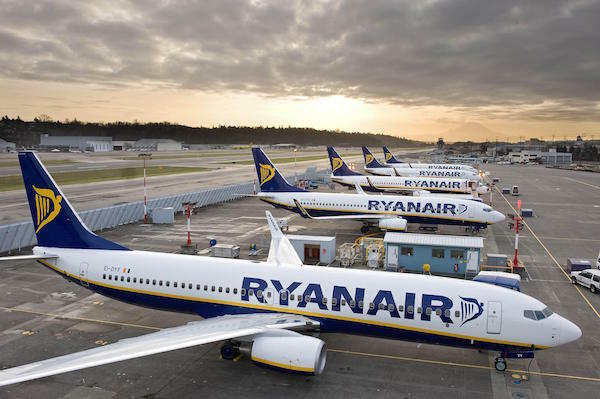 Next winter, Ryanair Holdings intends to increase the amount of jets based at Frankfurt airport to seven, uplifting the low-cost carrier’s position in Lufthansa’s main hub, according to Bloomberg. The airline will expand the destinations from the airport from 4 to 24, including business-oriented flights to London, Madrid, Milan, and traditional leisure routes. Ryanair seeks to challenge full-service airlines on short-haul routes by benefiting from its low-cost base. The aim is to push out the opposing airlines of the segment and present feeder services to their long-haul routes. The airline CEO Michael O’Leary told that by the end of the year Ryanair intends to obtain the second biggest market share in Germany. The move would overtake struggling Air Berlin, which is cutting off half of its core fleet. Feeling the pressure from Ryanair and other low-cost carriers, Lufthansa began cooperation with Air Berlin and its former rival Etihad Airways. Ryanair CEO commented upon Lufthansa‘s intention to lease 38 Air Berlin aircraft by saying that “biggest airline effectively closing down the second biggest is very bad for consumers,” as quoted by Bloomberg. Last year, the Irish LCC once again proved itself a worthy opponent to other Old World airlines, by officially becoming Europe’s number one airline by passengers carried after Lufthansa – the previous holder of the title – reported a comparatively small 1.8% in the number of travellers carried in 2016. Despite stiff competition, Lufthansa is still the largest airline group in Europe by revenue due to operating more long-haul routes than its competitors and managing its own catering and MRO business units.